Queen for Seven Days is a political romance about the love story between Grand Prince Lee Yeok (Yeon Woo Jin) and the daughter (Park Min Young) of a prominent politician who became queen for just one week before being dethroned. She gets caught in the middle of the rivalry between him and his half brother King Yeonsangung (Lee Dong Gun). We have the beautiful Park Min Young as our future queen Shin Chae Gyung. She is a spirited woman who won’t hesitate to get involved when she sees injustice. But when she finds herself in the middle of the King and the Grand Prince, her heart and her life ends up on the line. 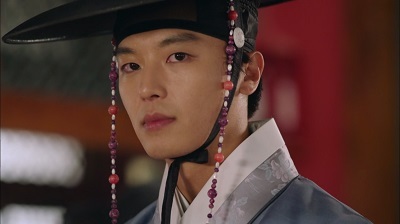 Yeon Woo Jin is Grand Prince Lee Yeok. He has to live his life trying not to cause trouble for his older brother the king and tries to convince him that he doesn’t want his throne. But the king never fully trusts him, and this ultimately sends him on a path where he just may need to take the throne for his own safety as well as the kingdoms. 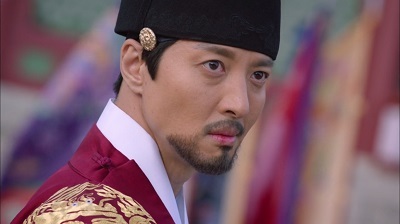 We then have Lee Dong Gun as Lee Yoong (King Yeonsangung). 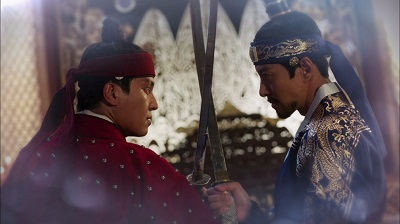 Although he does care for his brother, he is tormented by the fear that Yeok will try to take his throne. This and his temper makes him borderline crazy. And the sad thing is that his actions eventually begin to bring his fears into reality. If you’re looking for a historical drama that is pretty much solid all round, look no further than Queen for Seven Days. It has a very solid and intriguing story in place that is filled with plenty of interesting plot developments. Many different relationships are explored that each have their own unique dynamic. From the main characters down to the supporting ones, everyone has a purpose in the story. Yeok and Chae Gyung are the definition of ill fated and star crossed lovers. Fate seems to constantly throw them together, yet tragedy seems to follow them at every turn. I really enjoyed the complexity in their relationship. It is filled with good intentions as well as many secrets. While Yeok truly loves Chae Gyung, he also has a mission to fulfill that leaves her in an awkward position. And Chae Gyung genuinely loves him yet wants to give the King the benefit of the doubt and see the brothers relationship restored. Her soft spot for the King puts both her and Yeok in danger. While I would have liked to have seen Yeok and Chae Gyung have a chance to be together more, I really enjoyed their romance as a whole. It has plenty of happy moments, but there are far more heartbreaking ones. Their love story is a roller coaster filled with emotions. As the King spends all of his time unhappy and in fear, he finds a sort of place of peace with Chae Gyung. She’s a good friend to him who always wants the best for him. He comes to love Chae Gyung, but even his love is tainted by his paranoia and makes him do things that puts her in jeopardy. Then there’s love/hate relationship between our brothers, Yeok and Yoong. Yoong loves his brother deep down, but that doesn’t stop his ever growing fear that Yeok will try to steal throne. This causes him to treat Yeok horribly. And that leaves Yeok confused and afraid of the brother he loves so dearly. As Yeok grows older, he has no choice but to face Yoong head on. It’s such a sad relationship on so many levels. Although there really isn’t anything wrong with this drama, it had some things that I personally didn’t care for. The main thing is that it is a political romance. I knew this going in, and overall I still really enjoyed it. But I did find some of the palace politics slow and felt that it took away from time I would have rather spent with the character’s relationships. I would have liked to have gone deeper into the brothers strained relationship as well as spent more time on the romance. I also didn’t get as emotionally invested in the drama as I would have liked. This surprised me since I was actually very invested in the first four episodes with the child actors. I truly felt for them, and they just completely drew me in to their story. The younger versions of Yeok and Chae Gyung were simply wonderful! And while I still enjoyed the story and the adult actors, I just didn’t get many feels for a very long time. I think a lot of this was from the political focus and the fact that Yeok and Chae Gyung don’t get a ton of time together in the first half of the drama. But things really ramp up in the last quarter as the inevitable showdown between the brothers takes place. It was all very intense! Things also really started clicking with the romance which got nice and angsty. I finally got really into the extremely complicated and tragic romance between Yeok and Chae Gyung. So while I had some issues, they were more with my own tastes than the drama itself. It’s completely solid as a political romance with it’s rich story, talented actors, lovely cinematography, and beautiful soundtrack. It has a nice amount of angst that never feels forced as the stakes remain high for all involved. So if you enjoy historicals of the political romance kind, be sure to check out Queen for Seven Days. This entry was posted in Reviews and tagged kdrama, Korean Drama, Lee Dong Gun, Park Min Young, Queen for Seven Days, Seven Day Queen, Yeon Woo Jin. Bookmark the permalink. Looking forward to seeing Yeon Woo Jin in another drama. Good review! Thank you 🙂 He was really good in Queen for Seven Days! I also plan to watch his previous drama Introverted Boss.